With the 2017 Chevrolet Cruze Hatchback coming this fall, we thought now would be the perfect time to give you a little taste of just what this affordable hatchback will entail. 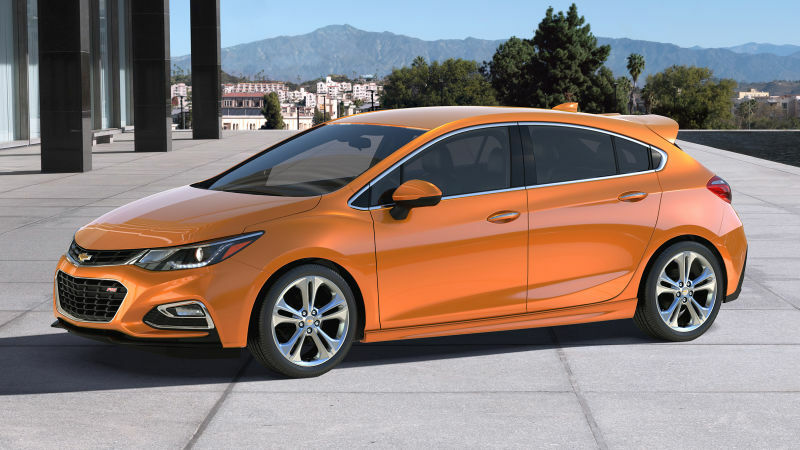 As the first new Chevrolet hatchback this generation, all eyes are on the Cruze Hatch. And that's good news for us; we've found that once you start looking at this car, you really can't avert your gaze. Before we get into the exterior styling and features, it would be a great disservice to our brand to not mention the intense interior found in this vehicle. If you've been following the 2016 Cruze Sedan at all, you'll probably notice more than a few similarities, but check out the photo below to see just what you're in for. 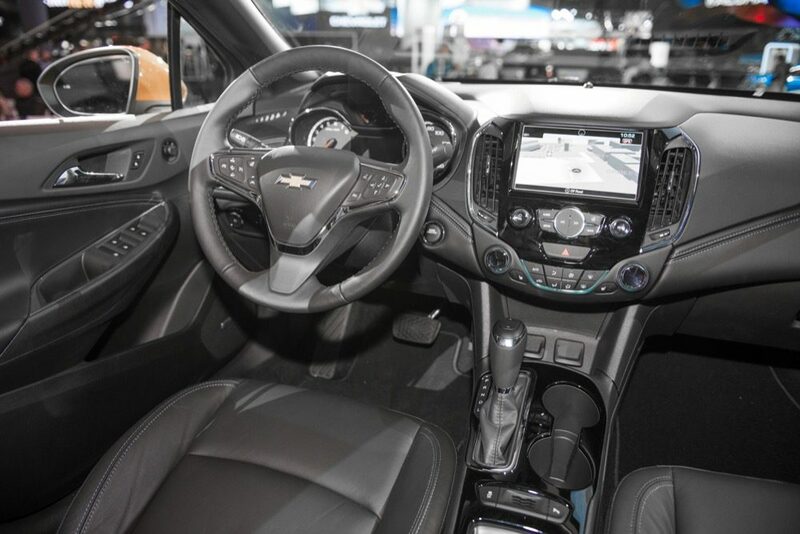 You'll get a 7" Chevrolet MyLink display touchscreen on every trimlevel (an 8" screen is also available on the Premier model) and each model also comes with Apple CarPlay, Android Auto, and Bluetooth audio and phone streaming. The standard rearview camera also projects onto the touchscreen and gives you a view of what's behind you when you shift the car into reverse. As you've come to expect from the Cruze line, you'll also get 10 standard airbags. Hopefully you'll never need to use them, but knowing you have so many ready to keep you safe really gives Cruze drivers extra peace of mind. Now, let's move onto the Hatchback's exterior features. You'll experience 153 horsepower and 177 foot-pounds of torque in this powerful hatch, matching the output of the 2016 Cruze Sedan. That's more than the offerings of two key competitors: the 2016 Hyundai Elantra trails the 2017 Cruze models with only 147 horsepower and 132 foot-pounds of torque, which is still better than the 2016 Toyota Corolla, which tops out with an unimpressive 132 horsepower and 128 foot-pounds of torque. Competitiors aside, these new Cruzes certainly outperform the outgoing 2015 Cruze, which boasted a respectable (though now-outclassed) 138 horsepower and 148 foot-pounds of torque with its 1.4L turbo engine. Meticulously styled, the exterior of the Cruze Hatch builds on everything that Chevrolet has done right with the new Cruze line and expands on it all in order to give Hatch clients the extra space they're yearning for. The Cruze Hatch affords you up to 47.2 cubic feet of storage with the rear seats folded down—more than the 2016 Mazda 3 and Ford Focus hatchbacks. With an aerodynamic front-end and strong, pronounced lines accenting the curved body of the Cruze Hatch, this might just be the best-looking hatchback to come about in a long time. The available RS package takes things to the next level with exclusive badges and styling that emphasize the sporty side that Cruze drivers have come to love. The 2017 Chevrolet Cruze Hatchback is coming this fall, and Ontario Motor Sales is proud to be receiving a generous supply from Chevrolet. Please email sales@ontariomotorsales.com or call 905-725-6501 to learn more about the Cruze Hatch, or to let us know that you'd like to be contacted once we have firmer details or driveable Cruze Hatches in stock.